ABRA Fines Kraken Axes $12,000 on Six Violations in September 26th Order | Park View, D.C.
Kraken Axes has opened in the former Murray’s at 3400 Georgia Avenue. 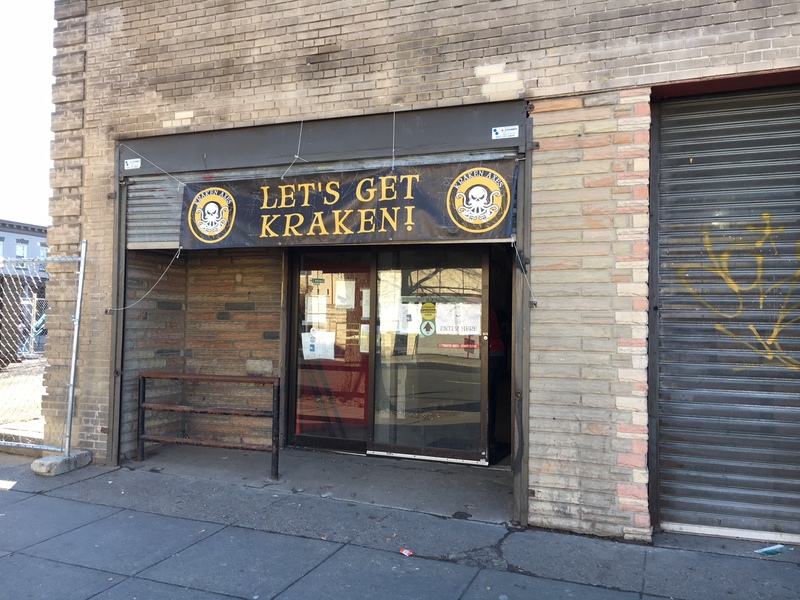 On August 3rd I shared that Kraken Axes had gotten into trouble as part of an ABRA investigation, which resulted in investigators recommending denial of issuing them a liquor license and citing three counts where Kraken had violated the DC Municipal Regulations. Kraken Axes representatives were ordered to appear before ABRA on August 15, 2018, to demonstrate their qualifications for licensure. All parties appear to have agreed to certain conditions to resolve the matter and ABRA issued its Order outlining this agreement on September 26, 2018.
interfering or attempting to interfere with an investigation. In addition, Anna Valero and the Applicant agreed not to have a direct of indirect ownership interest in District Still, LLC, Foggy Bottom, LLC, or any other D.C. licensed off-premise retailer so long as the parties hold a direct or indirect ownership inters in an on-premise retail licensed business. Additional details are included in the ABRA Order. This entry was posted on September 28, 2018 at 7:01 am and is filed under ABRA, Development, Small Businesses. You can subscribe via RSS 2.0 feed to this post's comments. What ever happened to the mushroom-growing endeavor? The young entrepreneur was attempting a community-involved business that sounded wholesome and contributive. Sounded wholesome in theory but they were horrible neighbors who threw numerous parties with loud music in the parking lot without permits and had zero regard for the surrounding community. They were only open for a few months then folded. seems like a very very light penalty given the circumstances and the very calculated and intentional deception / blatant disregard for the rules on the part of Kraken. Their actions should deem them unfit to operate a business in DC. $12k is practically nothing. Forging documents, lying to officials and interfering with an investigation should be taken very very seriously (never mind the illegal operation). This is a very troubling outcome, even for DC.